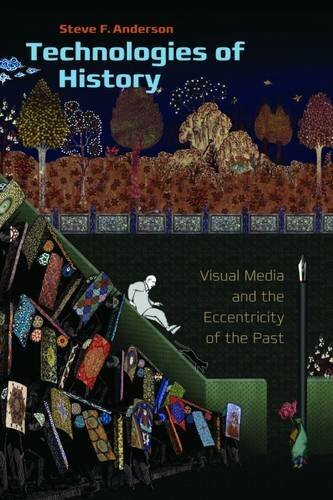 Technologies of History is an engrossing and innovative consideration of how history is constructed today, exploring our most basic relationship to history and the diverse contributions of visual and computational media to conceptions of the past. Embracing the varieties of history offered by experimental film, television, video games, and digital media, Steve F. Anderson mines the creative and discursive potential of this profane and esoteric historiography. He offers a highly readable and consistently fascinating discussion of historiography in visual media, with an emphasis on alternate or fantastic histories, including Star Trek time travel episodes, fake documentaries, films created from home movies and found footage, and video games about cultural traumas such as the siege at Waco and the assassination of President John F. Kennedy. Examining artifacts from the most commercial Hollywood product to the modernist avant-garde, this bold and ambitious polemic seeks to address historians, media scholars, and general readers alike, encouraging all to recognize, engage with, and perhaps even learn from these heterodox histories and the powerful sway they hold over our historical consciousness. About: Technologies of History is an engrossing and innovative consideration of how history is constructed today, exploring our most basic relationship to history and the diverse contributions of visual and computational media to conceptions of the past.